Maybe making a habit of eating toast too often isn’t a good way to stay thin yourself, but at least your toaster can lose a bit of mass. 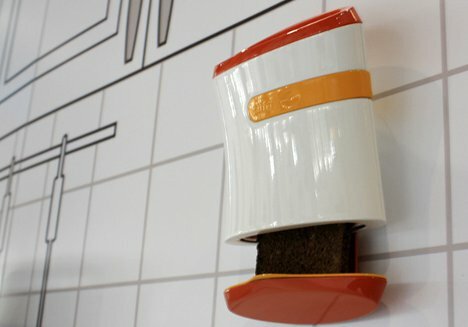 The Slim Toaster concept from Mozaffer Kocer and Ayca Guven is an ultra-compact toaster that mounts right on your wall. If you’ve ever lived in one of those apartments with so little counter space that you don’t even have the option of leaving the toaster out between uses, you’ll love this smart idea. 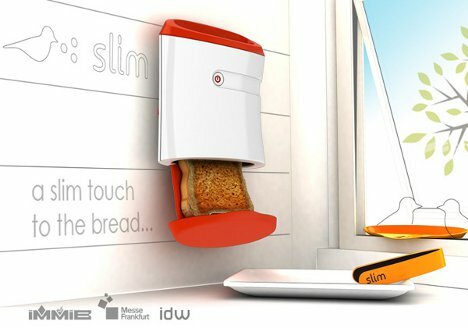 Instead of sitting there wasting valuable counter real estate, the Slim Toaster works like any other bread browner but takes up a fraction of the space – and zero of that space is on your counter. You can only toast one slice of bread at a time, but if your home is so small that you need to put your toaster on the wall, chances are you aren’t hosting a large brunch every week anyway. 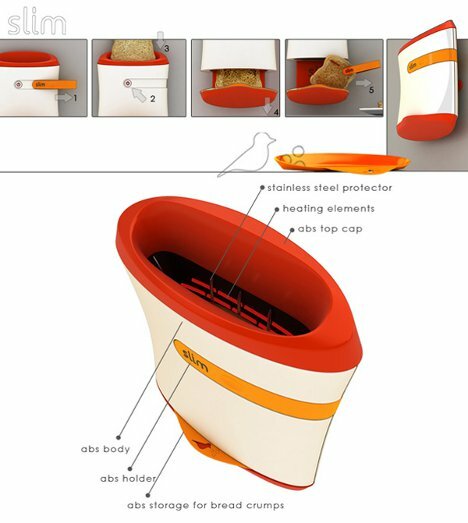 This concept is simple, stylish, and even comes with integrated tongs so you don’t burn your fingers while fetching that delicious toast.